Billy spent 20 years at the top of his field in arguably the most gruelling and demanding sport there is – Boxing. 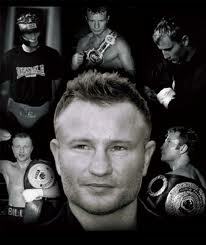 During his professional career he won British, Commonwealth, European and IBO World Boxing Titles. One of the most consistently brilliant fighters Britain has ever seen, Billy’s sharp skills, courage, determination and grace in the ring attracted a huge fan base. His engaging personality and ready wit made him a favourite amongst other boxers, promoters and the media. Using the lessons he learned during his time in pursuit of the world championship, his life experiences after retirement from professional boxing, and guided by his passion for living, his principles of freedom, love, joy and happiness, his utter conviction that anything is possible, Billy has built a successful business as an Inspirational & Motivational Speaker and Performance Coach. Billy is a reflective and engaging speaker who demonstrates honesty and intelligence. Billy believes that to produce world-class results in all areas our lives require a balance of mental, physical and nutritional fitness. Actively involved in many Charities since 1991, Billy finds a great deal of fulfilment in positively contributing to the community and peoples’ lives. He has set up The Billy Schwer Foundation and delivers speaking sessions and “The Mental Boxing” workshop which are delivered in Schools, Youth Offending Institutes and organisations including Turning Point, who support people with complex needs, including those affected by drug and alcohol misuse. He also works with The Princes Trust, Compass and other charities that support young people. Through his work he helps others achieve their goals inspiring them to greater things, to see themselves in a different light, allowing them to reach their full potential.